The proliferation of pre-packaged meals and processed foods in the 1950s was a trend that favoured convenience. In recent years, the desire for a more sustainable approach to food has had a resurgence, and with the resulting increase in backyard and community gardens, there is a renewed need for cool, dry storage. 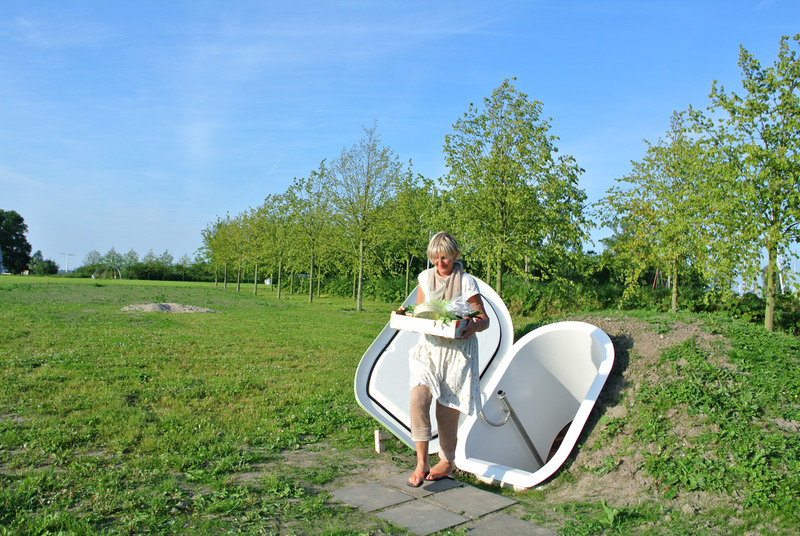 The Groundfridge, designed by Floris Schoonderbeek, founder of Netherlands-based label Weltevree, is one of the first products of its kind. 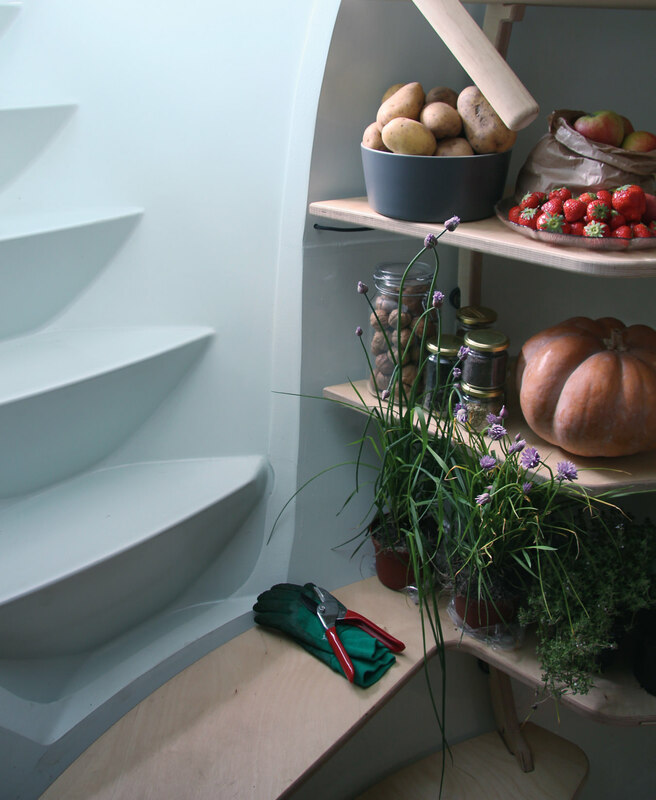 The Groundfridge is a stand-alone cellar made up of a staircase that leads down to a spherical pod outfitted with shelves for storage. “The shell is made of three-millimetre-thick hand-laminated polyester, allowing direct connection to the temperature of the ground,” explains Schoonderbeek. The Groundfridge is designed so that no dirt has to be disposed of. To install it, you dig a hole—deep enough so the top of the pod will be one metre beneath the Earth’s surface—drop in the Ground-fridge, and put the dirt back on top. 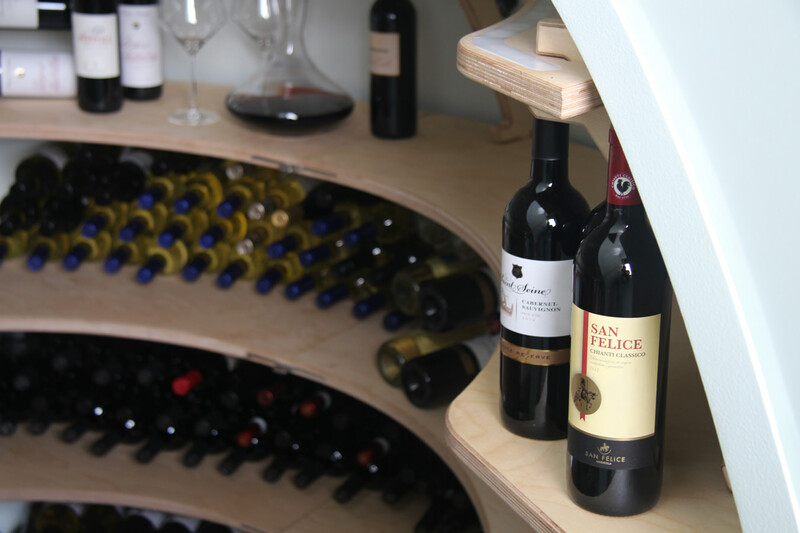 This depth ensures the cellar benefits from the insulating effects of the soil and the cooling effects of any present groundwater. Two natural air currents—one for circulation and one that brings colder outdoor air in—are facilitated by two small fans that use 50 kilowatt hours per year at most. 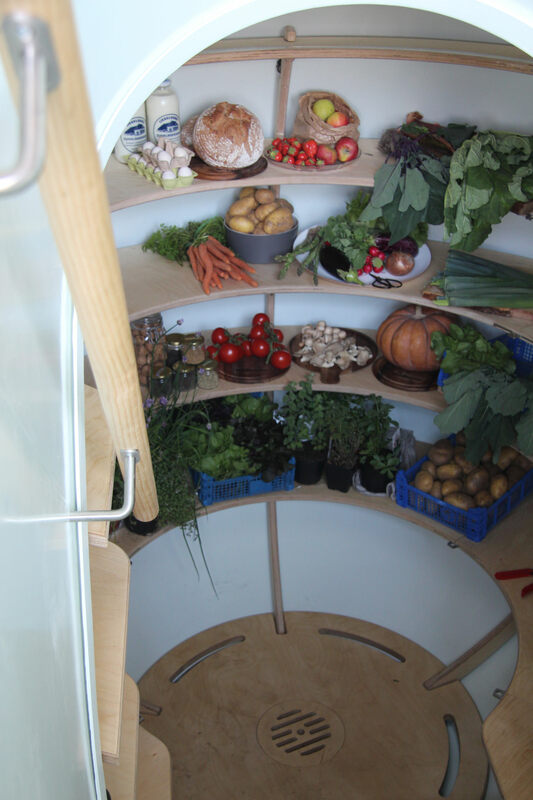 The Groundfridge has 3,000 litres of storage space, which translates to approximately 12 refrigerators.